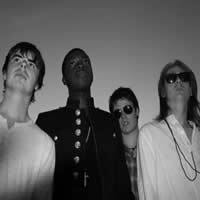 The Love Family - "Out of Reach"
When you've got good songs, nothing else really matters. The Love Family certainly have that. Having removed after a 20 break from gigging, the lads decided to grace our studio with their presence for what turned out to be a really memorable recording experience. This album is pop meets punk, it's the Smiths meets the Buzzcocks and everything good in between; with a bag full of catchy hooks and riffs to keep you company on the journey. I sincerely hope these guys never grow old gracefully. Why should they?... when they can bang out tunes like this! For crying out loud!... do yourself a favour and buy this Album. Engineered, mixed and mastered by Sean Kenny. 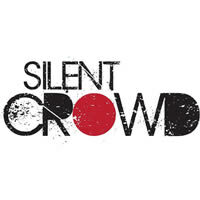 Produced by the (not so) Silent Crowd and Sean Kenny. A young 5 piece indie band from west London with a rocky edge suggests a wide and diverse range of influences. There's almost a Blondie quality in the strength of melody and attitude and the power and control in Kate's lead vocals enable her to deliver every song real punch and confidence. I really enjoyed working with these guys and look forward to seeing them again sometime. Engineered, Produced and mixed by Sean Kenny. 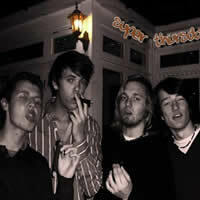 Super Thursday came to me with a brief of recording, editing and mixing one track, in one day. Fortunately the players were sufficiently competent to minimize editing required and given the time constraints, we were all very pleased with the results. 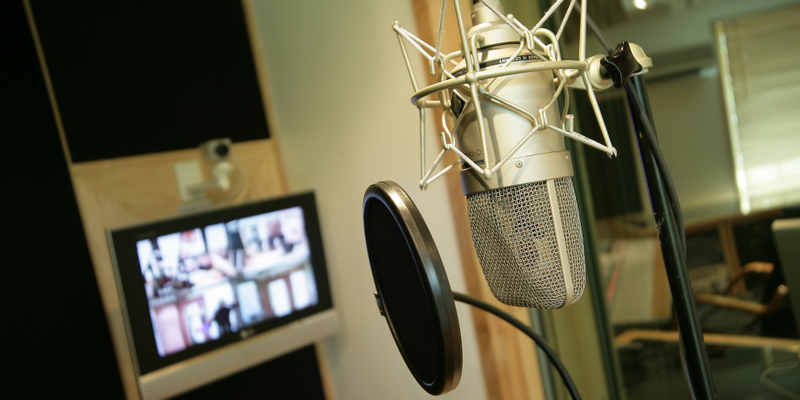 What helped a great deal, was that the lads had read and taken on board all the preparation information in our "How to prepare for a recording session page". What can you say about these boys. What you hear is what you get. 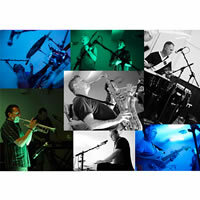 A very popular five piece outfit from Dartford with high energy tracks and a live show not to be missed. 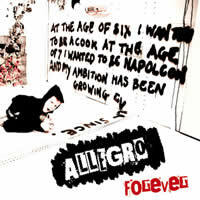 Engineered by Sean Kenny, Produced and mixed by Sean Kenny and Allegro. 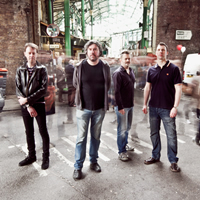 Liquid Limousine are a four piece British Rock'n'Roll band from South East London. 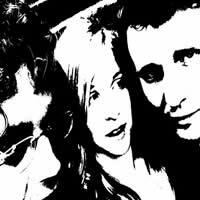 With an impressive portfolio of songs the band came to me with a clear idea of what they wanted. This always helps. Engineered by Sean Kenny, Produced and mixed by Sean Kenny and Liquid Limousine. 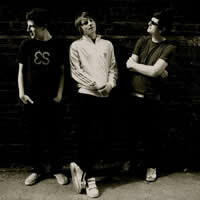 Black Market Karma are a 4 piece outfit describing themselves as a psychedelic rock'n'roll band from South East London. I wouldn't argue with that. Engineered by Sean Kenny, Produced and mixed by Sean Kenny and Stan Belton. A five piece indie rock band from Kent. These guys were fun to work with and chose to record live, capturing the groove of the recording session. This five piece indie rock band from Maidstone have a strong family presence. Engineered by Sean Kenny, Produced and mixed by Sean Kenny and Ten Stone Baby. All the way from sunny Lincolnshire, the distinctive style of this 5 piece indie rock/pop outfit is our outstanding memory of this session, along with a lot of laughs. With strong melodies, quirky lyrics and quality vocals Seven Day Weekend have a lot to offer. Another 5 piece indie rock/pop outfit with a maturity beyond their years and originality in abundance. His visit came about largely as a result of pressure from family and friends that he should record this 'infectious' melody. With some orchestral and guitar embellishments we managed to bring the best out in this tune and put a smile on Chris's face. Just when you think you're long enough in the tooth to have seen just about everything, a Scottish octogenarian rapper turns up to rewrite the book. Not only does this guy seem to drink from the fountain of youth, to preserve his good looks; but his youthful persona also extends to his total disregard for the exclusivity of "rap" to the "young and trendy" in this transgenerational biblical twist on the genre. Almost creating a new one in the process. Engaging the services of my son (Charlie Kenny) on drums and myself on muted guitar and various percussion, a lot of fun was had, recording this. We look forward to doing it again soon. 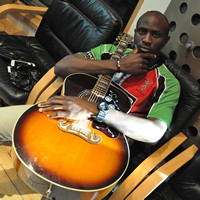 Armed with his preproduction tracks from Sunlight Studios in Chatham, Ovunda Chinda visited us with a view to enhancing the tracks still further with real drums, guitars, sax and additional vocals, before mixing and mastering. As well as having a keen ear for an irresistibly catchy tune, Ovunda has the incisive edge for tuning in to the every-day humanitarian issues that beset his fellow Nigerian / African / Human Being. Winner of the BBC's "The One and Only", solo artiste Katy Setterfield visited us in 2012 with her band, to set in stone some her all time favourite songs that she had come to love from years as a professional entertainer. The character and maturity in her voice is striking and her mastery of 'performance' shines on this album. Matched equally by the standard of musicianship, which was outstanding and a canny selection of songs, make this an album to be proud of for all involved. If you'd like to buy, here is the Apple store link. In addition to holding down a demanding day job and when she's not session singing, Alex is busy carving a successful career as a solo artiste, specialising in weddings & funerals. 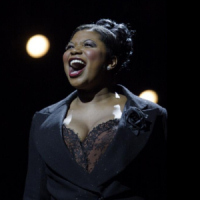 Her sensitivity to the demands of the occasion as well as her stunning voice and vocal dexterity, explain the extent her popularity in this field. Engineered mixed and mastered by Sean Kenny. Brenda Edwards puts the P in professional and is a great example of what can be achieved when a band is properly prepared for a session. Ten tracks were recorded and mixed in just 4 days. All the band members were very well prepared and Brenda laid down the vocals live with the band. When it came to backing vocals she worked so fast I had to be on my toes to keep up with her. They say practice makes perfect so it came as no surprise to learn from Brenda that she started singing in church at the age of 4. No surprise also to see her success in the west end. Jennifer Douglas is a young talented Classical/Crossover singer from Manchester with great voice control and a highly professional approach. 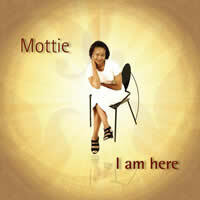 Busy mother of three and active gospel singer Mottie Akapo paid us a visit to record one of her compositions. This ambient new age artiste came to us with a vocal melody and lyric. 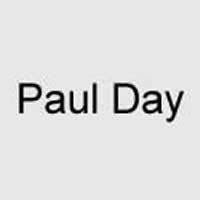 Armed with silky smooth vocals and a handful of quality backing tracks, Paul Day arrived at the studio with the brief of the highest quality demo possible. The quality of his vocals did ample justice to the tracks they graced and certainly earn Paul the right to label himself a 'crooner'. 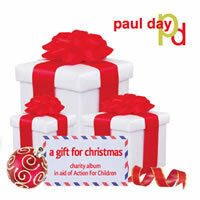 Enthusiasm abounding and armed with a sackful of quality Christmas backing tracks, Paul Day returned to Ten21 in 2013 to record a charity Christmas Album. Once again Paul's silky smooth tone served as painful reminder to me that my giving up singing was the right career choice! Leo is one of the ever increasing number of young talents to grace our premises. 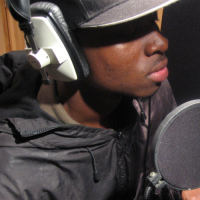 Juggling intensive university studies with his musical passion whilst somehow managing the funding meant this project was a 12 month process. Such is the calibre of his songs that he managed to secure sufficient donations enabling him to achieve the desired quality that these songs deserved. 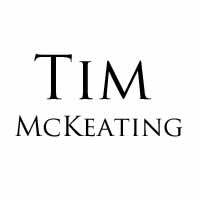 Tim arrived with an eclectic selection of songs written at various stages through his life, entrusting us with the task of honing and crafting them into a homogenous body or work. After some preproduction reworks on one or two of the tracks, we recorded these tracks over a six month period with my son Charlie, on drums, Josh Roots on keys, myself on bass and guitars and Jack Griffiths on some extra lead work, finally finishing the album with mastering at Abbey Road. Tim’s jocular demeanour ensured a constant stream of jokes and belly laughs along the way, but never detracted from the gravitas of the job. 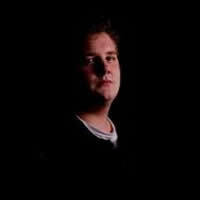 Engineered, Produced and mixed by Sean Kenny. Mastered by Sean McGee. 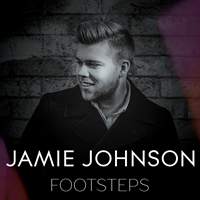 A 2014 finalist on the voice and deservedly so, Jamie Johnson puts the credibility back into talent contests. Believe me this boy can sing! When he told me he wanted to record his own stuff, I must admit for someone of his tender age, I wasn't expecting too much, but damn it, the boy can write too! Add to this his drive and focus, Jamie has everything it takes to go all the way. We had a lot of fun recording this. Hopefully we can do it again soon. 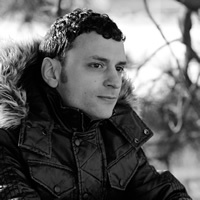 Marco is another talented singer/writer from Maidstone who visited us in 2012 to record some original material. Marco had a very clear picture of how he wanted the tracks to sound and had certainly done his pre-production homework. It never ceases to amaze me how professional, many so-called aspiring "amateurs" can be and Marco is no exception. Quality! Like many visitors to Ten21 Graham was so pleased with result and with his choice of recording studio that he elected to return to the studio to record full band versions of his tracks this time with the aid of some session players. String sections were subsequently added courtesy of a session violinist and cellist. 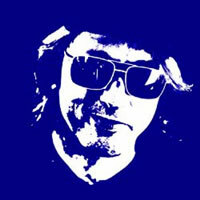 Following mixing the tracks were mastered by Jon Astley of Close to the Edge. 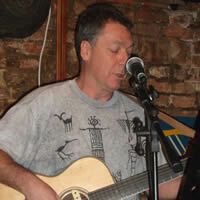 Mick Nolan is another singer/songwriter from Maidstone to cross our threshold. 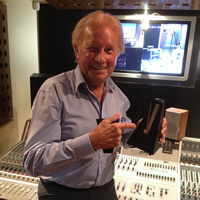 Mick came in with some pre-recorded tracks that he had recorded at home. 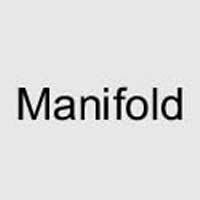 Quite a lot of this was rerecorded to take full advantage of Ten21 recording studio equipment and expertise. Charlie Kenny was commissioned once again for drum parts and engineer/producer Sean Kenny was also roped in for Bass and additional acoustic guitar. 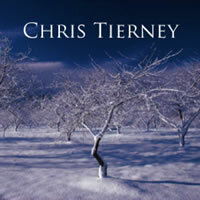 Produced, recorded, edited and mixed by Sean Kenny @ Ten21. Roll out - 11 tracks spread over 12 month period. Here are a selection of tracks from two visits to the studio. Engineered by Sean Kenny, Produced and mixed by Sean Kenny and Liam Jackson. 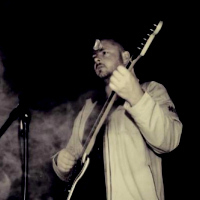 This singer-songwriter from Kent, has originality in abundance. 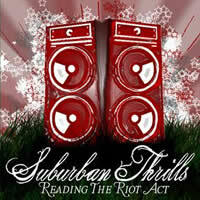 Thoughtful provoking lyrics and clever melodies throughout. Engineered by Sean Kenny, mixed by Sean Kenny and the Jimmy Etheridge. Natalie is not only a talented singer/songwriter, but also to be classically trained concert pianist. This formidable songwriting duo armed with put us through our paces recording and crafting these refreshingly original songs. The quality songs and playing are topped with great lead vocals that compel you to keep you listening. If you want to hear more from Shrunken Heads, then .... buy this album. 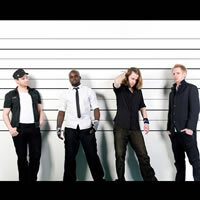 Emphasize first came to me in 2008 with a view to embellishing their crafted 'Logic' based compositions with some real drums, courtesy of my son and session drummer Charlie Kenny. Their return in 2009 was no surprise to me as I knew that the strength of their material was such that it was unlikely to be matched with their mixing skills, and thus, as the reason for their return was an inevitable and natural step in the musical journey. 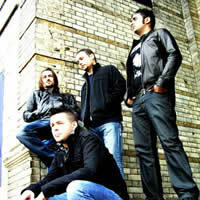 Emphasize are a Surrey based band with immense talent. A thinking mans' rapper combined with a musical whiz-kid, excellent musicianship and composition make for a heady concoction of rock, funk and rap sufficient to satisfy the frustrations of many an uptight middle-aged heavy rock lover whilst still be cutting-edge enough to quench the insatiable appetites of the more discerning rap youth tired of the same old 'dirge' dished up on the mainstream radio. This 4 piece rock outfit didn't pull their punches when it came to volume and boy do they deliver. 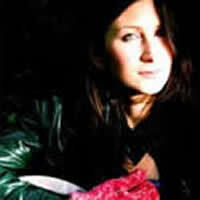 Andy (lead singer) is a proper rock chick with voice to rival the best and vocal chords made of steel. When the band first fired up I thought she wouldn't make the end of the first day. Three days later she was still hammering out backing vocals. The boys in the band certainly did her justice with some gut wrenching power-playing. This 3 piece rock outfit from London came to Ten21 for a 3 day session. Being just a trio demands good songs good playing. Staying true to their live performances the guys cut these tracks live. 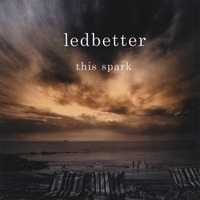 Engineered by Sean Kenny, Produced and mixed by Sean Kenny and Ledbetter. Edited and mixed by Sean Kenny and the Freshman. 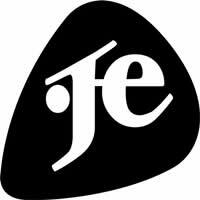 Probably the most cosmopolitan 4 piece indie rock band from London to have crossed our threshold. With band members from Italy, France, Poland and England/Asia, this blend of diverse ethnic influences gives the songs an interesting twist and inherent originality. Engineered by Sean Kenny, Produced and mixed by Sean Kenny and Guardians of Dust. Engineered by Sean Kenny, Produced and mixed by Sean Kenny and Dead Reckonin'. I'm really looking forward to working with her again soon. If you are too, then give her a helping hand .... buy this EP. She deserves it! Engineered, Produced, mixed and mastered by Sean Kenny. 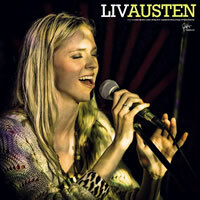 Liv returned to the studio to record another quality single, which certainly shows off her extraordinary talents. 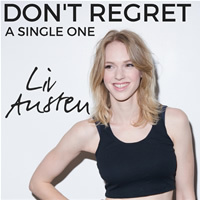 If you like this single just click here to buy it. 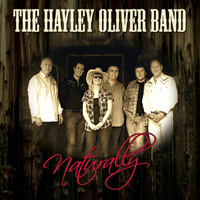 This new six piece country band from south east London are one the best country bands to be found in the UK. This album of covers is a pre-cursor to an album of originals which they hope to be recording next year. Lead singer Hayley has a special feel for country music and attracting attention even from Nashville where they have been invited by WSM and CMR to perform at the Music City Roots show. 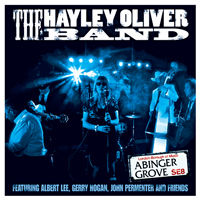 Hayley Oliver returned in 2012 to start recording a new album , this time of mainly originals. This time they decided to invite some guests to play on the album, including the likes of Gerry Hogan, Chad Marriott, Micky Byrne, John Permenter and the inimitable Albert Lee. 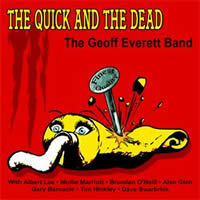 In 2012 Geoff Everett graced our studio with his presence, to record a very fine album indeed entitled, "The Quick and the Dead". 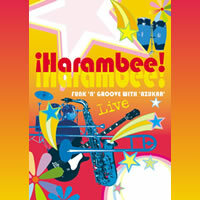 This album is rock, blues and R&B all rolled into one and is receiving rave reviews. In addition to his trusted sidekick Kevin Dore on Bass, also invited to the party... were the likes of; Brendan O'Niel, Alan Glen, Gary Barnacle, Tim Hinkley, Dave Swarbrick, Molly Marriot and Albert Lee. This album is a great listen and definitely, blues you won't fall asleep to! If you want to hear more from Geoff, then .... buy this album. Engineered and mixed by Sean Kenny. In 2012 the time-served apprentice in folk, Rob Spiers ... visited us to record two very memorable tracks for single releases. 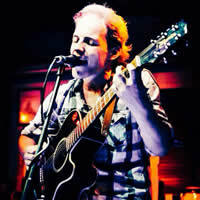 Rob is blessed with a velvet voice, taylor-made for his genre. He could make a bad song sound good. 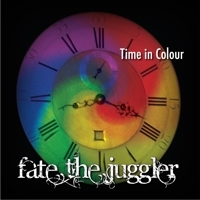 Fortunately in the case of Fate the Juggler, he certainly doesn't have to! This is Folk with mass appeal. If you've enjoyed listening to these clips and want to hear more then .... click here. 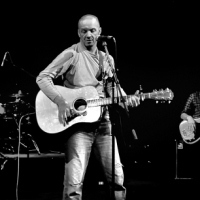 All the way from sunny Belgium, expatriate John Smillie braved the waves and returned to "Blighty" to capture his original folk material, in the relaxed unpressurised surroundings of Ten21. 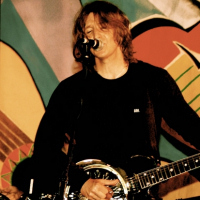 John's coy, self-deprecating demeanor belies the strength and depth of his songs both musically and lyrically. So it was a very pleasant surprise when I finally settled John's nerves enough to press record. This is Folk with a very humorous twist. Engineered, mixed and mastered by Sean Kenny. This six piece outfit from Canterbury were certainly a breath of fresh air. Lead singer/songwriter Terence Reis' South African and originally Mozambique roots make for an intriguing slant on his writing. Competent playing and singing throughout, Terence also had a real hand in the mix production on this project. Engineered by Sean Kenny. Produced and mixed by Waterhorse and Sean Kenny. Engineered by Sean Kenny, Produced and mixed by Sean Kenny and Kid Charlemagne. 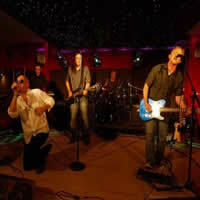 Marylebone Jelly are a prime example of a really well rehearsed, jobbing function band that have visited the studio in recent years. The professionalism and individual playing skills of this line up are impressive enough, but it's as a unit that this band really shine, with great lead vocals to top it all off. These guys take on some big songs and deliver everytime. 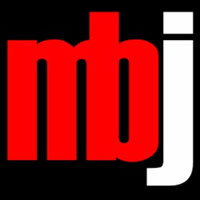 If you want to hear more from the band, then visit their website. Engineered by Sean Kenny, Produced and mixed by Sean Kenny. 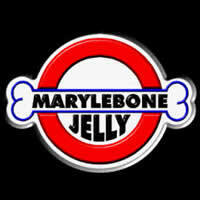 Pleased with the result of their previous studio experience, Marylebone Jelly returned to record their new EP. 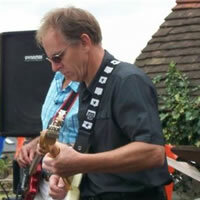 These guys are always well rehearsed and Ed's vocal dexterity enables them to take on a wide range of tracks. No wonder they're so busy. 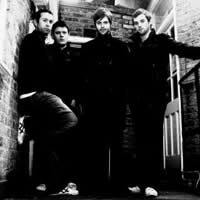 This 4 piece function band take 'lively', 'energetic', 'exciting' and 'interactive' to new levels, courtesy of frontman Pete; who leaves 'shy' 'retiring' and 'understated' at the stage door of every gig. Needless to say, they bring the house down wherever they perform and have a busy diary as a result. 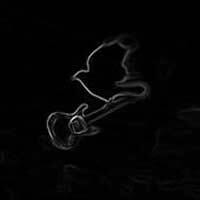 If you want to hear more from the band, then visit Whitelight official band website. If you want to hear more from the band, then visit Steaming Towards Oslo's official website. This busy jobbing function band were so pleased with the results of their first visit to Ten21, that they returned to us to complete their album of covers. 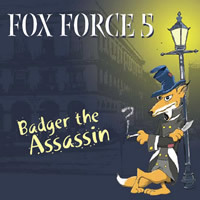 The diversity of tracks covered is not only down the proficiency of the players, but also due to the vocal dexterity of Jan, a female vocalist with a range extending lower than a snail's "rear end"
If you want to hear more from the band, then visit Fox Force 5 official website. Or maybe take it one step further .... buy this album. Engineered by Sean Kenny, Produced and mixed by Sean Kenny. It's not too often that we have purely instrumental outfits come to the studio, but this 8 piece Jazz/Funk/Latin outfit from Thanet graced the studio with their presence to record an EP/demo which they wanted to be representative of their live show. We achieved this by recording the whole thing live and whilst set ups like this can take a while, the time taken pays back with the resulting reduced editing required and the general live feel that you get. 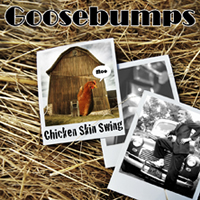 Goosebumps are one of the hottest Swing Jive and Jump Blues bands in Kent. The sense of fun these guys radiate was obvious even in the recording session. If you want to hear more from the Goosebumps, then .... buy this album. 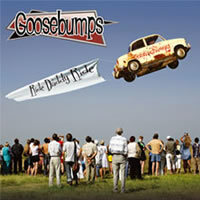 Engineered by Sean Kenny, Produced and mixed by Sean Kenny and the Goosebumps. There is definitely no danger of these guys taking them too seriously! 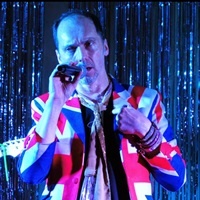 However their high quality of the musicianship and professionalism, belies the true craziness of this barmy bunch, which translates so well into their show that it's no wonder they are such a busy, high profile function band. They are also great fun to work with, if that's what you call it! 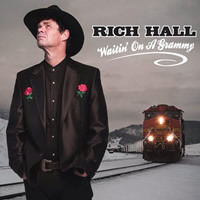 The infamous Rich Hall paid us a visit in 2013 to record his first studio album "Waitin' On A Grammy" also with a few live show inclusions. The hilarity of his material made it difficult to focus on the job at times, but what was most striking was what a great voice this guy has. Real 'gravel'. Oh ... despite the common myth .... he does smile .... and quite regularly. Hope to see him again sometime soon. If you're up for a great laugh you can buy the album from his website. 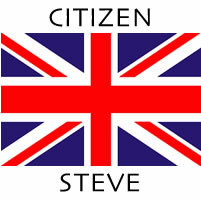 Citizen Steve is a proud patriotic ex paratrooper with a genuine concern for 'the state of the nation'. His sunny disposition and clever lyrics, make for a funny light hearted slant on what is an ever growing view amongst the common people.